According to Richard A. Davie, CEO and Secretary of the Massachusetts Bay Transportation Authority (MBTA), officials recently broke ground on the Anderson Memorial Bridge to help to make the necessary improvements connecting Cambridge and Boston via the Charles River. The restoration project on the bridge is costing the city nearly $20 million and it is being funded through the Patrick-Murray Administration’s Accelerated Bridge Program (ABP). The bridge helps to get North Harvard Street across the Charles River. The project will be done in 4 phases and is expected to be done by the fall of 2014. Until then, drivers and water travelers are urged to be cautious in these areas. Construction work brings about an increase in the risks for accidents in Boston. “The rehabilitation of this important bridge reflects our Administration’s commitment to investing in infrastructure improvements in cities and towns across the Commonwealth,” Lieutenant Governor Timothy Murray said. Our Boston personal injury lawyers understand that the bridge is nearly 450 feet in length and is a three-span structure, meaning there’s a lot of work to be done. While construction teams are working on the bridge, they will always keep two arches open so that water travelers can continue their travels down the Charles River. Land travelers don’t have to worry either. They’ll be able to get by too, but only with one lane open in each direction. Traffic will be directed through barrels and striping so you’ve got to be careful! Risks of boat, car, bicycle and pedestrians accidents are significantly increased in construction areas. If you can, you’re urged to avoid this area altogether. If you have to use the bridge, make sure that you do so carefully and be sure to allow yourself plenty of time for traffic and congestion. According to transportation officials, this bridge and the reconstruction is benefiting everyone. Not only will it last for decades, but it will also provide better and safer accommodations for pedestrians and bicyclists. Frank DePaola with the Massachusetts Department of Transportation (MassDOT) says that these kinds of improvements will help to make sure that everyone has an easier and safer way to get around. There is nearly $500 million in ABP funds to help to improve seven of the bridges that make their way across the Charles River. The Anderson Memorial Bridge serves as the third bridge to get a makeover. The Craigie Drawbridge and the Craigie Dam Bridge have already gotten their turn. The Anderson Memorial Bridge was built back in 1951 and was named after the builder’s father. 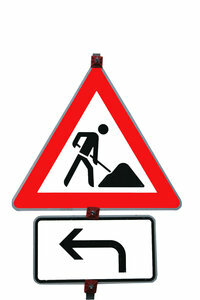 Drivers are asked to be cautions when driving through construction areas. Be on the lookout for other vehicles and for roadside workers. Accidents are likely when travelers are not paying attention. Keep it slow and keep your full attention on your surroundings. The Boston accident lawyers at the Law Offices of Jeffrey S. Glassman, LLC are here to represent those who have been involved in a Boston auto accident. Call 1-877-617-5333 to schedule a free initial consultation to discuss your case.